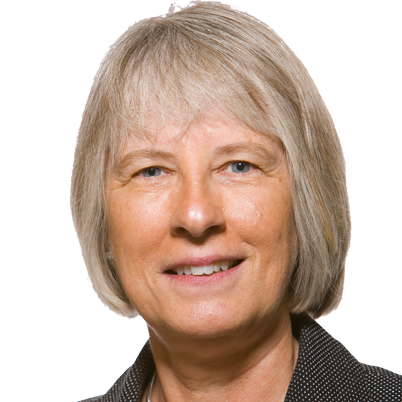 Becky Norton Dunlop, a prominent leader, strategist, and grass-roots activist in the conservative movement, is The Heritage Foundation’s Ronald Reagan Distinguished Fellow. Dunlop, who joined the leading think tank in 1998, holds the only policy chair in the country to be officially named for the 40th president. She succeeds Ed Meese, the U.S. attorney general under Reagan, who assumed emeritus status. Dunlop oversees special projects at Heritage, travels as an ambassador for the organization to the worldwide conservative movement, and works tirelessly to assure that the legacy of principles, policies, and practices represented by the life and service of Ronald Reagan remain in the hearts and minds of Americans. She served as a senior official in the Reagan administration from 1981-1989 inside the White House, at the Justice Department, and at the Interior Department. Before joining Heritage, Dunlop also ran her own strategic management and communications consulting firm, Century Communications, and served from 1994-1998 as secretary of natural resources under then-Virginia Gov. George Allen. 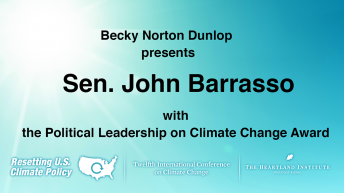 At the 12th International Conference on Climate Change on March 24, 2017 in Washington, DC, she is presented the Political Leadership on Climate Change Award (in absentia) to Sen. John Barrasso (R-WY).